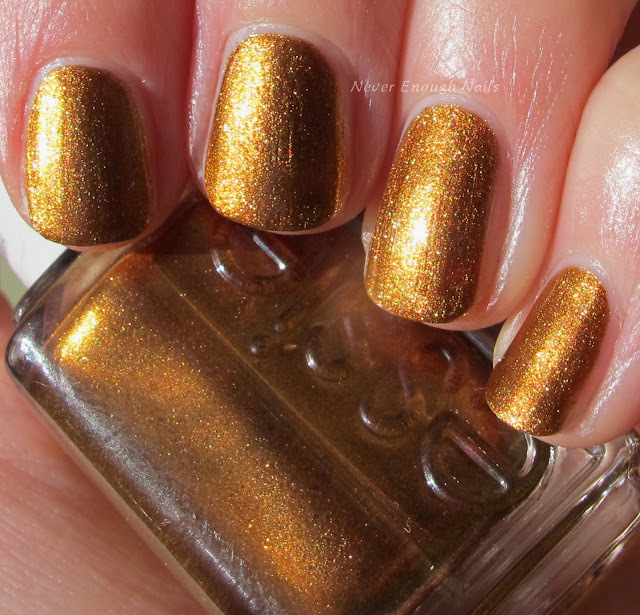 Copper shimmers are pretty much my favorite fall polishes, so when I saw Essie Leggy Legend, I knew it would be mine! Leggy Legend is a really rich looking copper shimmer. 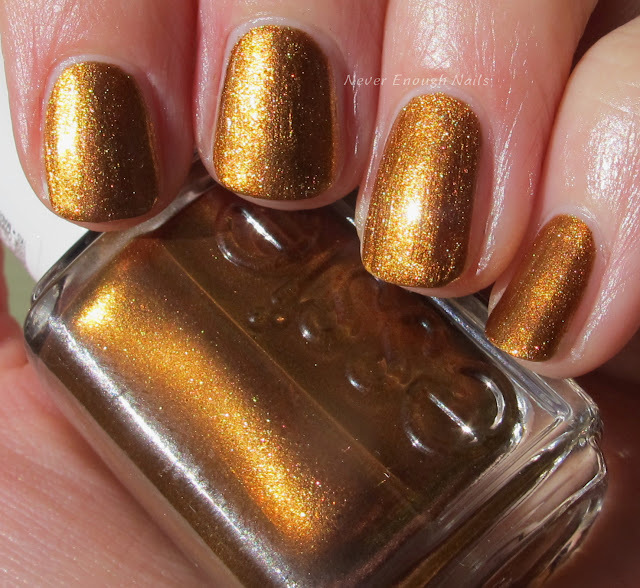 It just looks like you poured molten copper on your nails. The shimmer has some almost iridescent looking bits, I think you can see them in the picture below. This is two coats. It was pretty easy to apply, maybe a little on the thin side., so just don't load up your brush too much. This color just makes me want to go jump in a leaf pile! I got mine at a CVS near me.